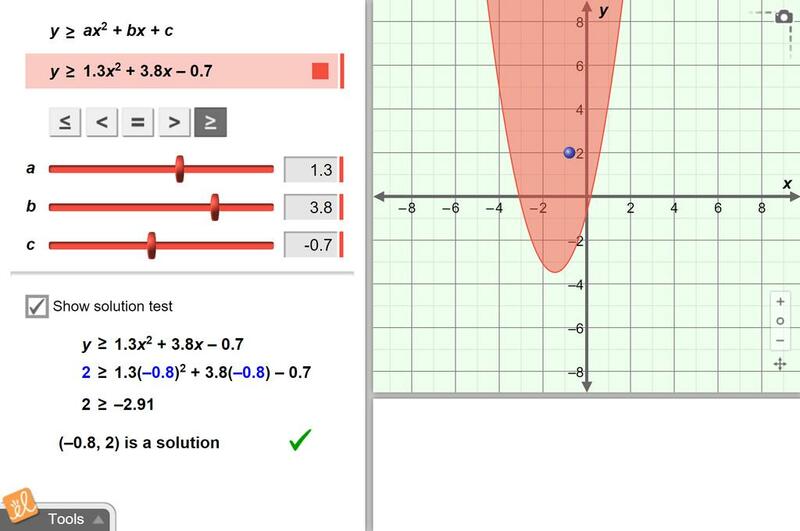 Find the solution set to a quadratic inequality using its graph. Vary the terms of the inequality and the inequality symbol. Examine how the boundary curve and shaded region change in response.